Our fountain pools will let you transform any area into a spectacular oasis. With the largest selection of fountain pool designs anywhere and the ability to create complex custom products, we are the best choice for all your fountain needs. 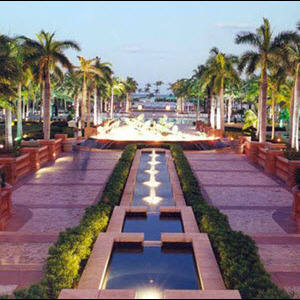 Fountains are a breathtaking addition to hotels, resorts, and shopping malls. If you&apos;re planning to add one to your commercial or hospitality location, it&apos;s essential not to overlook the fountain pool. The edges of fountain pools provide a place for guests to sit, the water inside has a cooling effect on the surrounding area, and tossing coins into fountain pools can even bring good luck. Although typically less elaborate than the sculptures and rings that are incorporated into the design of many fountains, fountain pools are the base or foundation that completes the entire piece. Stromberg crafts both fountains and pools, and we can design both structures with a specific theme and color scheme in mind. We carry a number of stock designs, and we can also build a custom fountain pool based on your exact wishes. Since we use molds to produce our fountain pools, we can achieve complex shapes and elaborate textures and designs. Our fountain pool materials are suitable for underwater use, so you can feel confident you won&apos;t get stuck with a lot of costly repairs. Choose a subtle matching accent for your fountain or a bold design that will be the first thing people notice - with fountain pools by Stromberg, the choice is entirely yours.